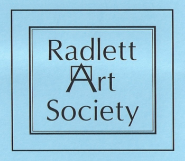 Our speaker is a distinguished NADFAS lecturer and art historian who specialises in modern British Art. John also runs John Iddon Fine Art which deals in Modern British art, and particularly that of Royal Academicians, from the 1930's to the present. It promises to be an evening both instructive and entertaining.